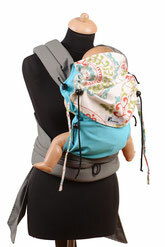 The Huckepack baby carriers are produced by Baby Roo since 2007. 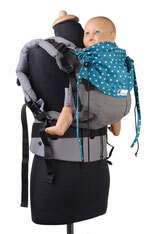 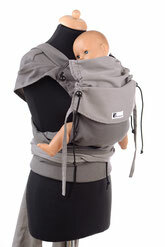 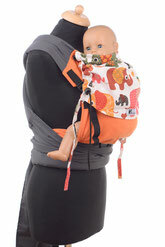 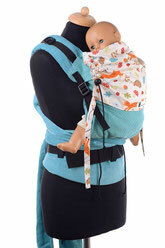 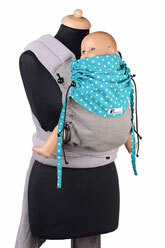 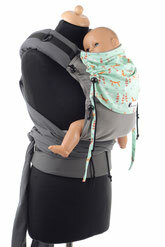 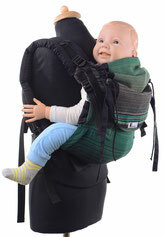 The carriers were developed by the founder of the company, Berit Kessler, who is also a babywearing consultant. 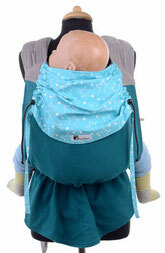 The ergonomic baby carriers offer a high level of comfort for parents and children, which can be adapted individually and support the recommanded squat-spreading posture. 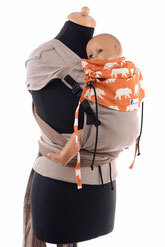 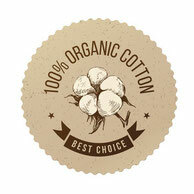 All products are made of 100% organic wrap fabrics, which are woven and dyed for us especially in Germany. 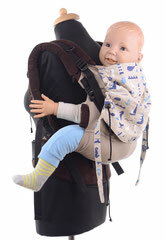 can thus grow with your child. 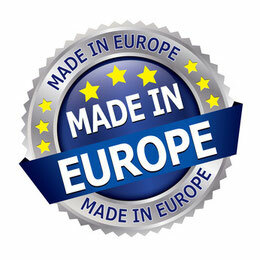 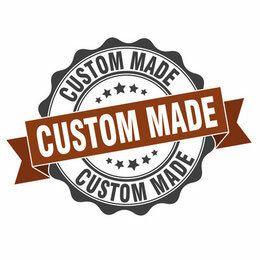 constantly changing designs, which are made in Europe.